Source water is any untreated water found in rivers, lakes and underground aquifers which is used for the supply of raw water for drinking water systems. Source water protection is the action taken to protect that raw source of municipal drinking water from overuse and pollution. Municipalities are responsible for the regulation of activities that may pose a risk of contaminating drinking water sources (drinking water threats) on a site-specific basis. Source Water Protection Plan policies generally apply to activities located within surface water Wellhead Protection Areas (also known as vulnerable areas). The Town of Mono has been a leader in the protection of groundwater resources. The Town held two successful conferences in the 1990's devoted to groundwater protection policies, Headwaters I: There's Always Someone Downstream and Headwaters II: No More Flush and Forget. In 2004, following the tragedy in Walkerton, the Town of Mono became one of the first municipalities in Ontario to develop and incorporate wellhead protection policies in its Official Plan. In 2006 the Province passed the Clean Water Act, 2006: legislation designed to help communities protect the sources of their drinking water. The Act requires municipalities, businesses and residents, working together, to implement local Source Protection Plans. The Town of Mono is governed by two Source Protection Plans, approved under the Clean Water Act, 2006. The policies in the two Source Protection Plans outline how sources of drinking water will be protected. Controlling barnyard runoff and diverting clean water. If your property is within a Wellhead Protection Area, you may need to complete a Risk Management Plan. For further information, please contact the Town of Mono Risk Management Official. 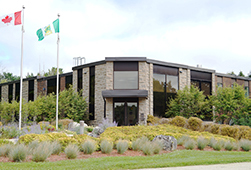 To meet the requirements of the Ontario Building Code, the County of Dufferin's Building Department may conduct inspections of septic systems in certain areas. If your septic system is not functioning properly and you are located within a Wellhead Protection Area, you may be required to rectify the issue. All septic systems within the Wellhead Protection Areas were inspected in 2015 at which time no concerns were identified. Businesses also have roles and responsibilities to protect our environment and help preserve the quality of our drinking water. If your business is within a Wellhead Protection Area, there may be policies in the Source Protection Plan that apply to you. Businesses may be required to complete a Risk Management Plan before they begin a land development project that could impact the groundwater. Existing businesses may also be required to do so if their activities pose a threat to groundwater. For further information, please contact the Town of Mono Risk Management Official. Source water protection signs will be erected throughout our Wellhead Protection Areas to enhance public awareness pertaining to our drinking water. These signs physically identify the most vulnerable zones within a wellhead protection area, and are part of a larger education and outreach strategy in accordance with the Source Protection Plans. Planning Staff are working with Dufferin County and the Province to update our current groundwater protection policies and incorporate the policies of the Source Water Plans into our respective Official Plan and Zoning By-law. The purpose of these updates is to ensure that the Town conforms with Ontario’s Clean Water Act, 2006, and the ongoing safety and protection of our drinking water.